I want to say this flat-out and unequivocally: Fizzics, the new device that claims to “improve” the quality of canned or bottled beer, is couched in all sorts of scientific jargon that all sounds fine and logical – even tasty! – unless and until you stop to think about what it is that’s being claimed. In 28 years in the beverage biz, I’ve seen dozens of big start-up marketing campaigns for gadgets and accessories that claim to enhance wines or beers or “fix” problems that, somehow, were never problems before the new gadget came along. 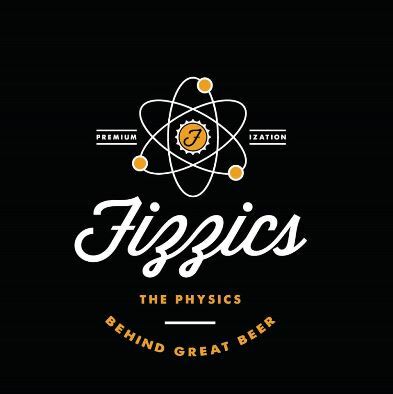 Fizzics is just the latest in a LONG line but is different in that it offers the more geeky beer lover a way to actually insert themselves into the brewing process, albeit in an end-user sense that has zero to do with what the brewer ever intended. Fizzics is fairly simple: it makes beer more foamy. It can deliver a somewhat reasonable facsimile of the type of head that you’d get from a nitro cask ale and do it with, literally, ANY beer you dump into its mysterious innards. 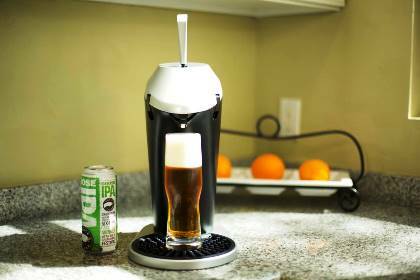 Their indiegogo page makes all sorts of claims about how the machine will improve whatever beer you want to “fix”, using just the addition of more foam to enhance the flavor, aroma, and mouthfeel of the beer. “Mouthfeel of aromatics“? Mouthfeel is based in the sense of touch. Aromatics are a function of our sense of smell. There is no such thing as “mouthfeel of aromatics“, because it’s physically impossible for aromatics to create mouthfeel. There is no such thing as “sensory fusion”. There can be the harmony of the senses, such as sipping a beer at a rock concert, while smelling cannabis and feeling your hips involuntarily sway, enjoying the closeness of your GF or BF, and surrendering to the music, but these are all separate experiences and harmony is rarely something we get to engineer. And “all five of your senses“? Really? What do we hear in this process that’s so revelatory? You know quite well that enjoying a great beer is possible while listening to music at ear-bleed volumes, so any claim by Fizzics that ALL five senses are “stimulated” is highly suspect…except that “all five” reads a lot better than “four of your five senses“. Really? Then…Fizzics MUST have consulted with every single brewer, at every brewery in the world, to see what it was the brewer intended when they put that beer into its package. Some brewers actually make still beers on purpose; beers that are without any bubbles or minimal foam that leaves that lacy ring about the glass within just a few seconds. of pouring. Those are stylistic choices and are the sole province of the maker of that beer. Adding foam where none was intended is not “as the brewers intended“, it’s as Fizzics insists is better. Some do and many don’t, and presuming to speak for all brewers, everywhere, is the height of arrogance and dismissive disregard for the craft. If a brewers puts a beer with minimal effervescence into a can, that’s their creative choice to make, NOT Fizzics’. Their entire rationale for promoting this device is that all beer, of every style, that you can obtain in a package, is presumptively flawed…which is hogwash. The technology of bottling and canning beer has improved so profoundly, just in the past ten years, that I’ve poured blind tastings of the same beer as a tap selection and from a package and the tasters have been unable to tell which was which. It is patently FALSE to make the flat statement that beer is better when foamy. It depends on the beer, the style, and the way the brewer made it. Period. The problem here is that these two statements aren’t really compatible. They state unequivocally that they want to deliver to you what the Brew-masters intended but then they want to change that carefully-made and packaged beer, to enhance the aromas, flavors, and mouthfeel. In short, they want to remake that beer according to their tastes and preferences, and the brewer be damned. Because there are literal legions of kids who roam from brewery to brewery with six or eight of their friends and discuss beer in lieu of having girlfriends or, y’know, a life, there is a current trend among them to think that they know better than the brewer what the beers should be. This is the logical consumer group for Fizzics, along with the merely gullible, who have never been in short supply, within the American marketplace. I am also going to come clean on the fact that I wouldn’t have written this except that Fizzics’ PR firm continued to pester me about writing something about it, after I ignored four or five of their press releases. I replied to those folks today, in much the same terms as here, and am going to hope I’ve heard the last of it. As for what this device is, if you like fizzy beer so much that $149 seems like a reasonable investment for some foam the brewer didn’t intend, here’s your next Christmas present! 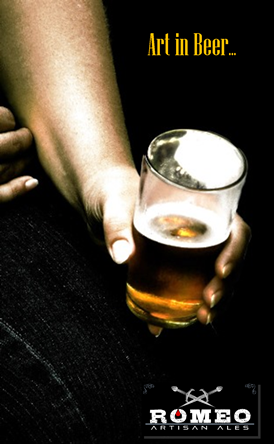 But the whole notion that beer MUST be foamy to be good really, to me, seems like the attitudes of the crowd that likes and drinks BudMillerCoorsPabst; a juvenile hang-up about one aspect of the far larger world of brewing and one that is at among the most debatable subjects in the entire world of craft brewing. Yeah, personally I think that thing is a travesty. My other huge issue with it, is could you only imagine how often you’d have to clean the bloody thing? Basically after every beer…or at least daily to clean out any beer gunk in there that will quickly form into bacteria. Seems like an expensive way to ruin a beer and add an extra 5-10 minutes a day of taking it apart and cleaning it. Personally I think they should stop with the “respect beer” tagline at least, because what they’ve done is the exact opposite. I also really dislike that it effectively tops off the beer, something many bars do which also ruins the pour. The whole enterprise has about it the distinct aroma of people who know they have to promote it at warp speed, before comments like yours and mine start to gain traction. Even with proper cleaning, there is probably going to be some residue of whatever beers came before the one presently being “enhanced”. If they said you have to clean it between every usage, that would probably be a deal-breaker, for a lot of folks. In my 25+ years in the beverage biz, I’ve seen dozens of these gimmicks, all of which have one thing in common: they’re all LONG gone, now. Remember the wine aerator that injected bubbles into the bottle to forego decanting? The breathable wine glass? Not to mention the current app that will tell you – again, based on science! – what beer you’re going to want next. They all have another thing in common, too: they all sold a fair number of the things to the gullible, an audience that never shrinks and never wises up. ← Breweries Running Out of Names? DON’T Believe It!